We are excited to have been selected by the International Housewares Association to contribute to their Inspired Home blog. We have been compensated for our time, but our opinions are, of course, our own. 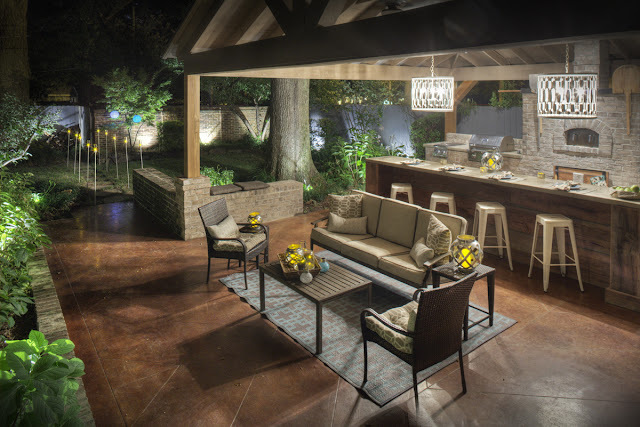 So a couple of years ago, we designed and built a backyard area that we love, and this week, we got to do this fun story for IHA's Inspired Home blog. The deal for the update was lights everywhere, feather-print everything, and a better entryway than just a forlorn table all alone. We love the results! Blogging can be a trip, though, for things are rarely what they appear. We set it all up on a sweltering Sunday evening all the while wishing we were really having a party that night. Our cute new stuff sure made the scene look great, and we were pining to share it with others. But 90+ temps after dark may be pushing it when it comes to a relaxing evening for all. One day soon, it'll happen, and we'll be ready. The second reason blogging is a funny thing is that we're going ahead with a forced renovation (okay, complete gutting) of our original kitchen inside due to a dishwasher leak, a little water wreaking havoc as it can do. But it's hard to undersell how lovely was it to get away from the craziness (all closets emptied, stuff in places that makes no sense for said stuff to be stored, a ripped-out floor, complete chaos so widespread that we can only roll with it and make fun of it) for a night. We requested and received coupons for free pints of ice cream from Halo Top in exchange for writing a review here on TCV. As always, all opinions expressed are our own. 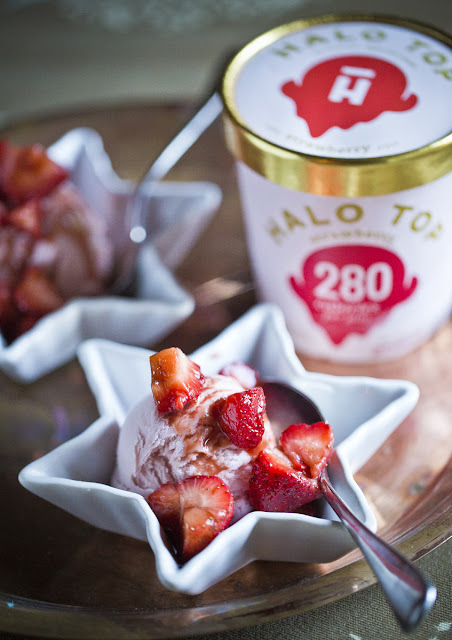 We tried a pint of vanilla bean Halo Top ice cream last week, and now we're loving all that they do. Sometimes we'll buy 'healthier' ice cream and find it's only good for being mixed in a milkshake because the texture's off or the flavor's weird. Not so with this new stuff. It's got protein, fiber, fewer calories per pint than most, less sugar, and it tastes like real ice cream. We've tried vanilla, strawberry, lemon cake, and chocolate so far since those are available in Memphis (all 4 can be found at Whole Foods Poplar in Memphis; we also spotted vanilla and chocolate at Kroger). Dying to try the other flavors soon! 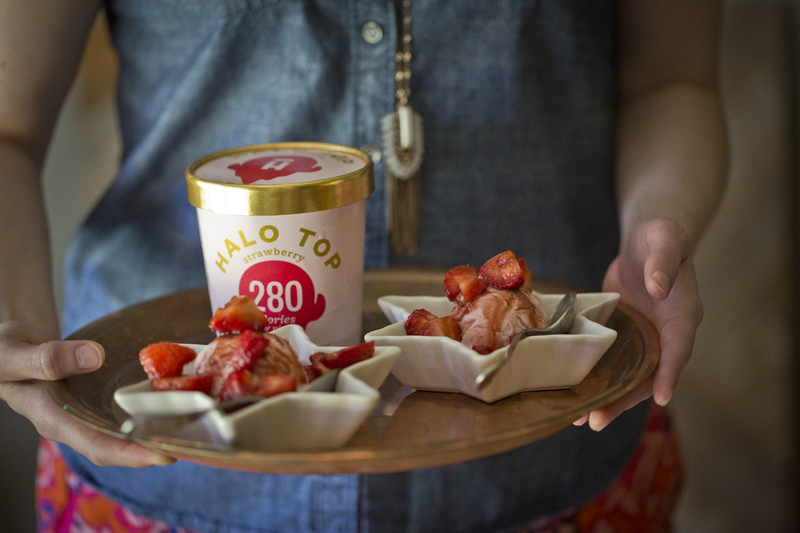 We have some ideas about what you can do with each flavor, but the first topping we made was some quick, marinated Honey-Balsamic Strawberries and paired them with scoops of strawberry Halo Top. These ingredients might make an awesome milkshake, too! Cut berries into fourths and set aside. Whisk the vinegar, honey, and salt. Pour mixture over berries and allow them to marinate in the fridge for a few hours or overnight. Spoon mixture over strawberry ice cream. 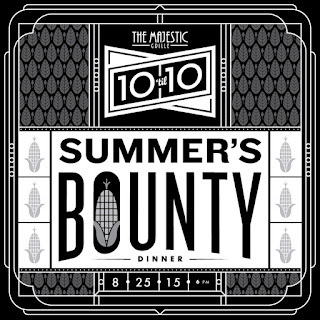 Chef Patrick Reilly, originally from Ireland, and his wife Deni are hosting a series of 10 themed dinners, one for each year they've served delicious food at The Majestic Grille in downtown Memphis. We were excited to learn that Chef Reilly was planning an all-vegetarian feast as one of the "Ten 'Til Ten" dinners. The menu he is working up sounds amazing. It'll be a salute to the South's seasonal produce with dishes like his amazing Sweet Potato Gnocchi with Roasted Shiitake Mushrooms and Artichokes and another favorite of ours, Ratatouille with White Bean and Tomato Ragout. There'll be several passed appetizers like Berbere-Spiced Okra and also Apple Jelly and Goat Cheese Rangoons. Dessert will be a Cherry-and-Apple Crumble with Custard. There will be five courses in all, each paired with wines that complement each dish. 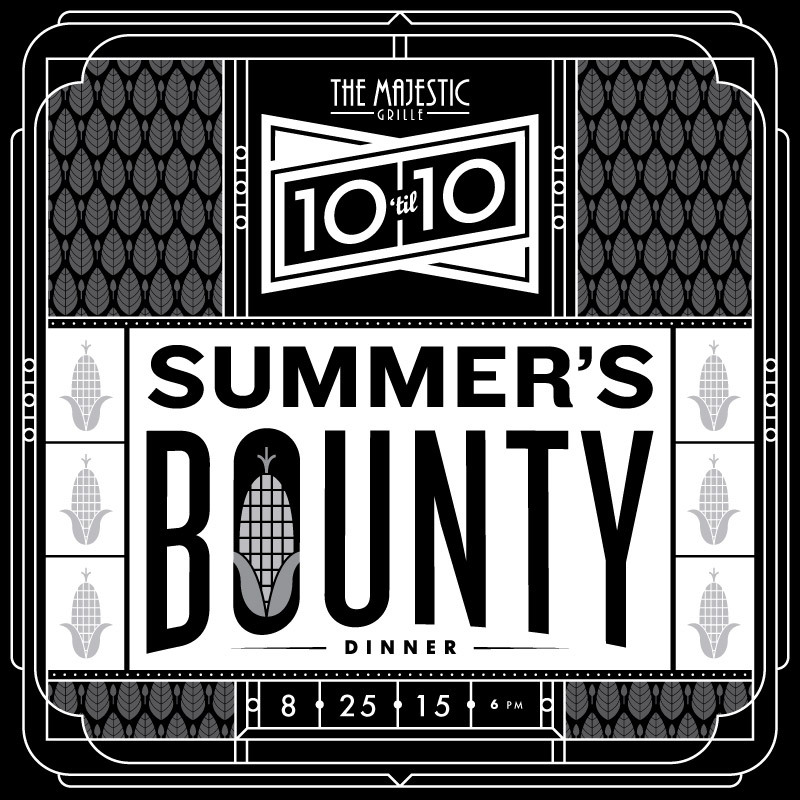 Seating for Majestic Grille's Summer's Bounty dinner is limited, and we just know it will sell out. So get your tickets today. We'll be there for sure! 1. TCV: What are some of your earliest food memories? PR: "My father was an avid gardener, and I remember going down to pick lettuce or parsley for dinner. We had (and my sister still has) rhubarb plants that we dug up and brought with us when we moved house when I was like seven. There is nothing in the world like first spring rhubarb tart. The first dish I ever made was oatmeal cookies. I was eight years old." 2. TCV: Being a chef seems both difficult and rewarding. Tell us about your decision to feed people for a living. PR: "I have wanted to be a chef since I was a child. I have no idea why but it appealed to me; I seemed to have a knack for it. I love food, and I love the reaction I get from people when they taste something that they really enjoy." PR: "I wouldn’t call it limiting in the least! 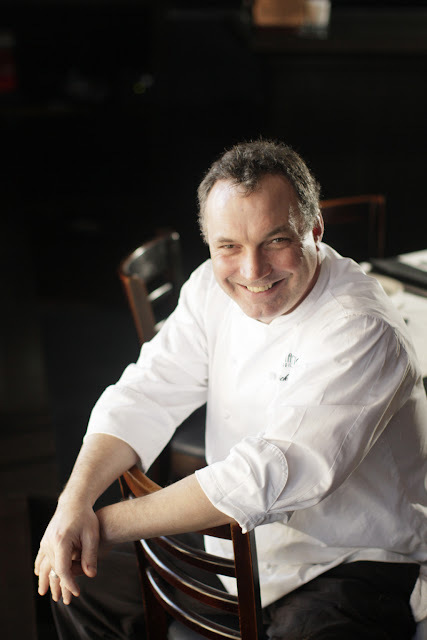 In the 80’s, I worked under Chef Paul Gayler at Inigo Jones Restaurant in London. He was a pioneer of vegetarian cooking in French haute cuisine. We had a ten-course vegetable tasting menu available each night, and in the spring, we had an entire menu devoted to asparagus. 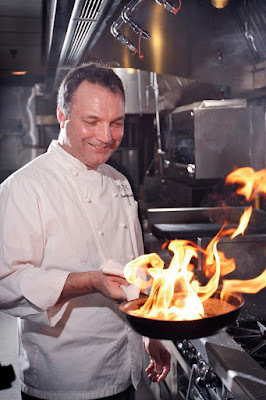 These dinners are a way for me to cook different styles and cuisines which I would otherwise not get a chance to do." 4. TCV: What’s the secret to longevity in the restaurant business? It must have something to do with family, right? PR: "I don’t know if there is a secret. We just try to provide the best and most consistent experience we can. We love what we do. There is no doubt in my mind that our staff is the biggest factor in our success. We have an amazing team of people here, some of them since the day we opened. And we just make it our priority to do right by them, and that just seems to work out best for everybody." 5. TCV: What is the one dish that you make that connects your Irish heritage with your Southern American sensibility? PR: "Meat was considered a luxury and was used almost as a seasoning; while here, the common crops were rice, beans, and corn, among others, in Ireland, it was potatoes, roots, and vegetables like kale and cabbage. So on one hand, you have rice and beans with maybe a ham hock thrown in for flavor, and on the other, you get 'colcannon' which is mashed potatoes with onions, kale, leeks, or cabbage -- or a combination -- and a fistful of chopped bacon or ham."